Six more weeks of winter? Yes? No? Will the groundhog come out of its hole? 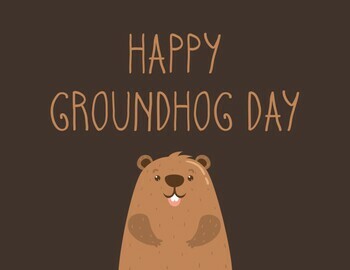 A popular tradition that derived from the Pennsylvania Dutch superstition that if a groundhog emerging from its burrow on this day see’s a shadow due to clear weather, it will retreat back into its den and winter will persist for six more weeks, & if he doesn’t, due to cloudiness, spring season will arrive early. I’m sure we all hope spring will come early for an early start to the golf season.